Tinnitus, hyperacusis and misophonia are prevalent among children and adolescents. Average age of patients seen in our paediatric clinic is 12 years old (from 2.5 years old to 16 years old). Approximately 50% of patients had tinnitus, 80% hyperacusis, and 40% of those with hyperacusis had misophonia. What should I do if I think my child may have tinnitus, hyperacusis, or misophonia? Use of earplugs, headphones and avoidance techniques in general do not help children to learn how to successfully manage their symptoms in the long term. Tinnitus, hyperacusis, and misophonia often create unnecessary stress and unhappiness for the child and their family which could hamper their enjoyment of life and limit their educational and social development. If you think that your child may have tinnitus, hyperacusis, or misophonia you should see a specialist audiologist. 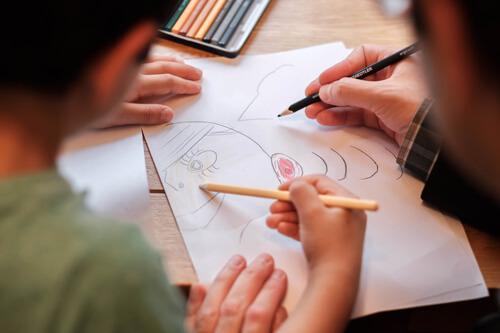 In Hashir’s clinic we use different approaches to help your child to manage their symptoms effectively and enable them to grow, develop and flourish. We offer a child-and parents-friendly therapy approach. Although the therapy is complex it will be adjusted to suit the level of the child’s cognitive development. The aim is to help the patient to learn alternative ways of cognitively reacting to tinnitus or sound which then will reduce the tinnitus and hyperacusis-related distress. Once the therapy achieve diminishing the distress linked with tinnitus or certain sounds (in the case of hyperacusis and misophonia), then the awareness of them fades over time. 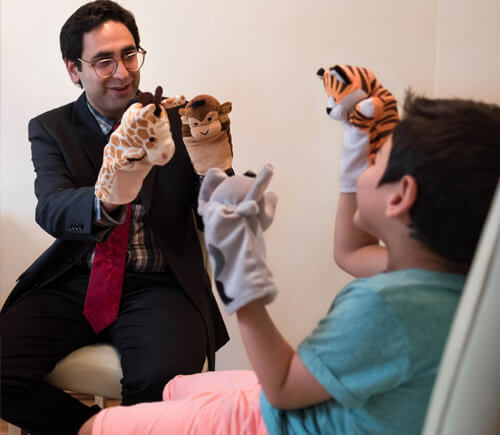 Tinnitus, hyperacusis, and misophonia-focused therapy is very successful in children and typically involves between 3 and 6 face-to-face individual sessions. Below is a case report for a 6 years old girl with hyperacusis who underwent the therapy. Bothersome noises comprised: children noises in the classroom and playground, fireworks, hand dryers, brakes on the buses. She found the classroom environment difficult due to noise levels and at times had to cover her ears. This created unnecessary stress which hampered her progress in school and impacted her self-confidence. Her mum reported that when they went to a theme park she covered her ears for almost the whole time. She underwent the therapy accompanied by her parents and made significant improvement. During the therapy she learned how to explore her thoughts and modify them. After 3 sessions she wrote the text below which showed her progress in resolving her intolerance to sound. Tinnitus, hyperacusis and misophonia are also common among children with autistic spectrum disorder (ASD), attention deficit hyperactivity disorder (ADHD), auditory processing disorder and learning difficulties. The therapy in our paediatric clinic has shown to significantly reduce tinnitus/hyperacusis/misophonia-related distress in patients with and without such conditions. Recent research showed that for 20% of children with hyperacusis even the sound level of a whisper or the background noise in a quiet library is uncomfortable and even painful. This is phenomenon is called “severe hyperacusis” and was first defined by Hashir and colleagues in a research study published in the Journal of the American Academy of Audiology (2018). About 40% of those with hyperacusis also have misophonia. There is a special pattern of sound sensitivity and intolerance to noise in children with misophonia, they are much more sensitive to high-pitched sounds. Research published in the International Journal of Audiology (2018) showed that for the great majority (80%) of the young population, tinnitus, hyperacusis and misophonia often occur without any manifestation of hearing problems.